MedMen knows it can’t succeed without its dedicated people, which is why co-founders Adam Bierman and Andrew Modlin have committed to giving every single employee – from hospitality associates in retail to lab technicians in manufacturing to corporate staff – a stake in the business. Dubbed the Letterman Program, the Company gives stock options to all employees based on their salary or wages. Stock options are a popular incentive in many publicly traded companies, but still rare in the cannabis industry. Making every employee an owner was a vow Bierman made when the Company went public on the Canadian Securities Exchange on May 29, 2018. MedMen decided stock options were the best way to give employees an ownership interest. Stock options give employees the right to buy stock in the future at a set price, usually the market price of the stock when the option is granted. If the price of the stock goes up over time, the employee can exercise the option for a profit. The employee can also choose to get the difference in company stock, or elect to purchase the stock with their own money at the option price. No matter which option the employee chooses, if the Company performs well and the stock price goes up, everyone wins. The incentive program was officially announced during a company-wide town hall at MedMen’s headquarters in Culver City. The program offers non-qualified stock options (NQOs) that will begin vesting one year after each employee’s individual grant date – which varies based on their hire date and terms of employment. The Letterman Program is part of MedMen’s comprehensive benefits package designed to attract the best talent. 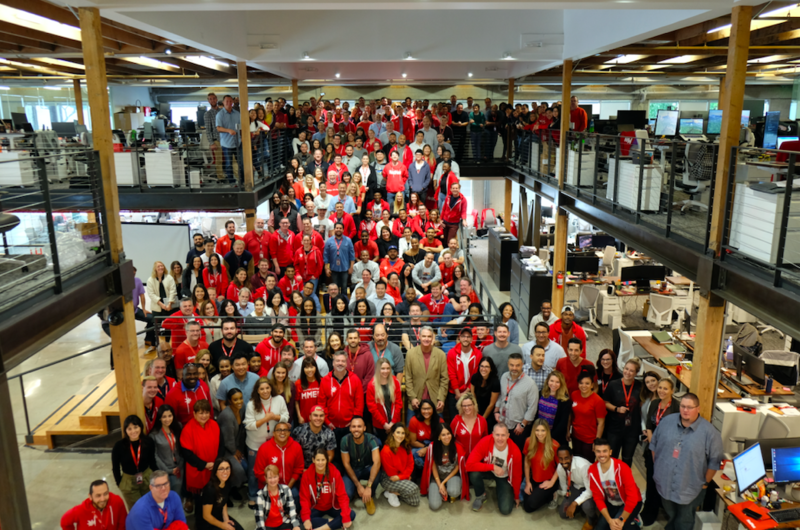 MedMen offers competitive wages and health benefits to all its employees.